Human society is based on group dynamics and the need to belong in a group. It is a common impulse to find a group where we will “fit in” and be accepted. It can be any group within our current “society” to include high school. In my case, it was the “Geek group” of high school girls with Chemistry Goggles. As humans, we have instinctual responses that are amplifed by group influences. When we are young; adults, parents, school, community and police define the societal laws. Where there are no adults to moderate behavior the group will make their own rules. 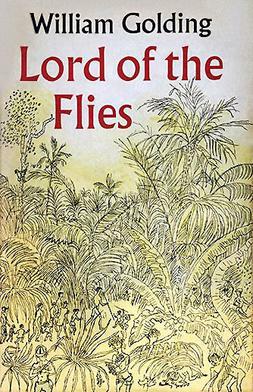 I re-read “Lord of the Flies” from a psychological perspective as opposed to an adolescent point of view. A few observations. The meeting with the Conch was usually an assembly for order, “everyone enjoys speaking and being together”. We find that the group decide things but got little accomplished. Then the group, having little directions, would all start talking out of turn. The children started out accepting a leader, and wanting to “fit in” because we are, instinctively, social animals. Yet, once they became “savages” they were a Pack, lead by Jack. His leadership was based on his skill as the Hunter. Roger, the loner, the one that pushes the rock to kill Piggy. He exhibits silent, possibly anti-social behavior. Simon, also quiet, tries to warn the group, “The beast is within us” for this truthful observation he is killed. Had he survived, he may have been a very successful psychologist. In adult society, riots are violent. The larger the group the greater the amplification of group behavior. 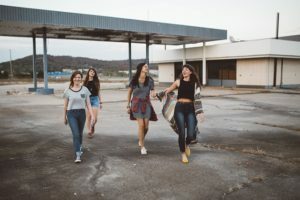 If the group behavior is peaceful, as exemplified by Martin Luther King or Ghandi, the behavior of the group participants is peaceful and orderly. “One dog may bark at you but it’s more likely that a pack will attack you”. There are three psychological theories that address crowd, group behavior. Contagion Theory – proposes that crowds exert a hypnotic influence on their members that results in irrational and emotionally charged behavior often referred to as crowd frenzy. All of you as 11th graders and teenagers, think you are adults. You are not yet. It is a scientific fact that the prefrontal cortex is the part of the brain representing reasoning and executive control. That part of your brain does not fully develop or mature until approximately age 24. So, it is not your fault! Therefore, enjoy your teenage years and listen to your parents, teachers, and mentors. They are adults and have fully functional brains, so what they tell you is based on rational thinking and what is good for you. They don’t do it to be mean, although you may think so at times. Keep in mind, that I tell parents their teenager will outgrow it once the brain-development catches up. Once that occurs, you will have the ability to modulate emotions and make rational decisions. In the interim, before you make any big decisions, ask yourself “Would Mom approve”. The children in the novel were younger than you, so you should not expect them to exhibit teenage little less adult reasoning. Believe it or not there is a big difference compared to you. Have you had to babysit or do you have younger brothers and sisters? Then you know what they are like compared to you in their behaviors. The toughest years of our life are normally experienced as teenagers. We attempt to fit in and find an identity of our own. Good news, as you enter adulthood and the prefrontal cortex develops fully you can translate negatives to positives. Those who are shy can overcome shyness. Those who are afraid to talk in front of a group have the potential to become successful speakers. You will learn coping skills to improve your lives! To conclude psychology is about interacting with others. Whether, you pursue careers in sales, engineering or business or decide to become a Physician, nurse or teacher, it all relates to people. I may be a little biased but, if you go on to higher education at least take an Intro Psychology class!